A beautiful fruit basket to entice that special someone. 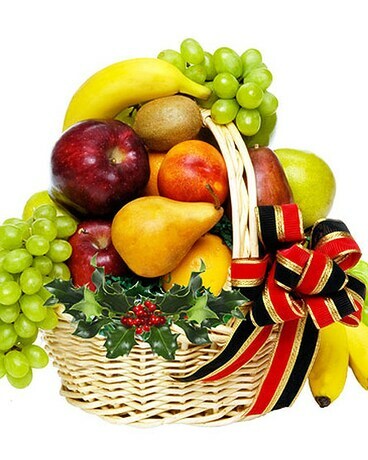 Fruit basket includes grapes, pears, apples, peaches and bananas, in a wicker handled basket, complete with a festive bow. We are a local Florist here in the city, we will make the local delivery for you, hand made by our flower designer and hand delivered via our flower delivery personnel. 100 % Local and 100% fulfilment VALUE! We need 24 hour noticed, same day deliver is not available.